Stan Lee, the legendary writer, editor and publisher of Marvel Comics who creations, stories and energy changed the world has died. He was 95. 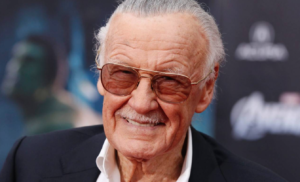 Lee, who began in the business in 1939 and created or co-created Black Panther, Spider-Man, X-Men, The Mighty Thor, Iron Man, The Fantastic Four, The Incredible Hulk, Daredevil, Ant-Man and other characters, died early Monday morning at Cedars-Sinai Medical Center in Los Angeles, a source told The Hollywood Reporter. Our deepest respect and condolences to his family and friends from the entire Big Lick Comic Con and Big Lick Entertainment family. The world has lost a true genius. We’ll never be able to thank you enough for what you gave us. ← Comic creator Ron Marz added to Big Lick Comic Con – Feb 9 and 10!